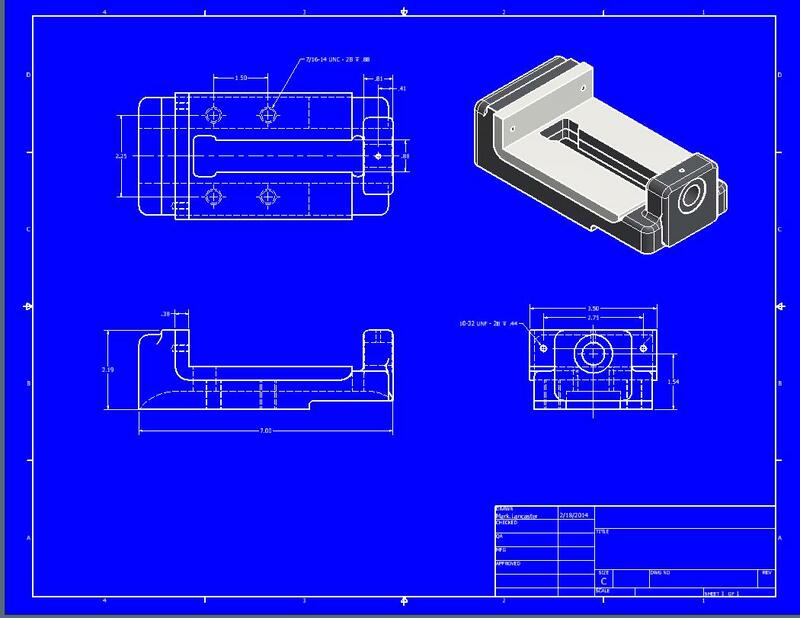 Creating a single color back drop on your Inventor drawing sheet is very straight forward and is accomplished through the Tools/Document Settings interface. Here’s a retro look, making it look like those days when blueprints existed. I want to take a few minutes and share a few items regarding colors within your drawings. 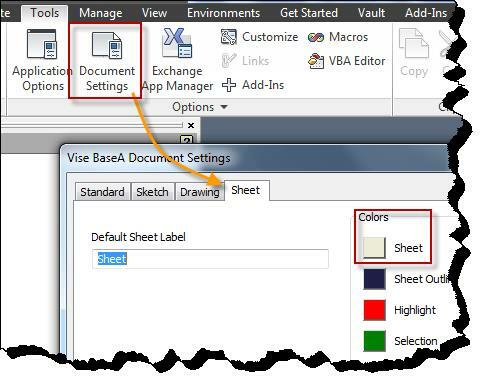 By default the drawing sheet background (color) is related to the color of parchment paper and may limit the appearance of your drawing entities. By adjusting this setting you can definitely help with the overall drawing contrast and make it easier on your eyes. I recommend “white” as the color because it is accepted by many and does an excellent job in enhancing your drawing, but the choice is up to you. 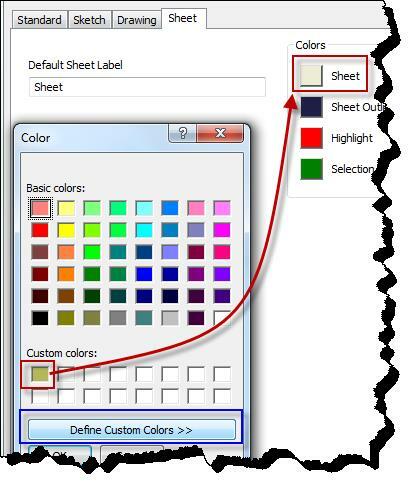 You may also want to change the color that defines the highlight and selection criteria within your drawing if the current ones do not work for you. When you start defining custom colors within your drawing, the (color) definition is actually stored in the drawing itself. Once you exit Inventor, the custom color is removed from memory and will no longer appear in the (color) dialog when Inventor is restarted. 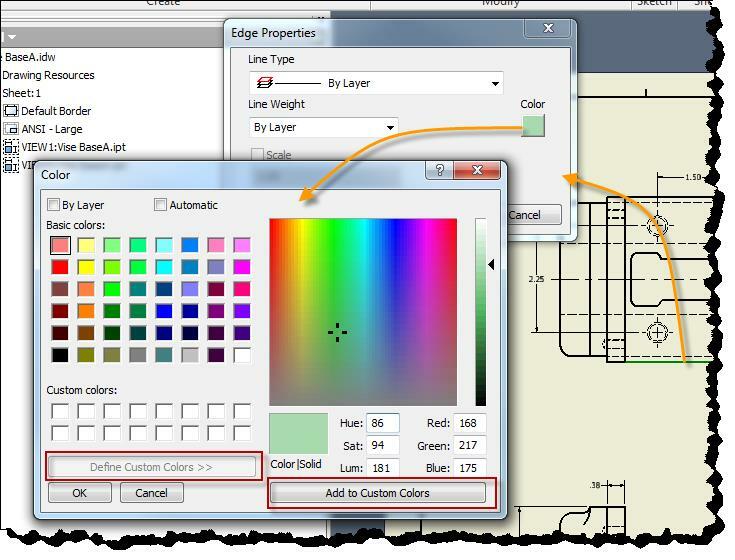 It can always be restored to memory by simply selecting the item with the custom color, its properties, “Define Custom Colors” and “Add to Custom Colors” button. However, if it isn’t restored to memory prior to changing the custom color, the definition could be lost forever. For example, if I change the default sheet background color to the recommended white, I may lose the ability to return it to the default parchment look down the road. However, in this case you can always reset the default drawing background color by entering the following values for either the Hue/Sat/Lum or Red/Green/Blue fields in the custom color definition. Creating shaded views on your drawing can be a nice touch. However, certain colors can cause conflicts when viewing and printing your drawing. 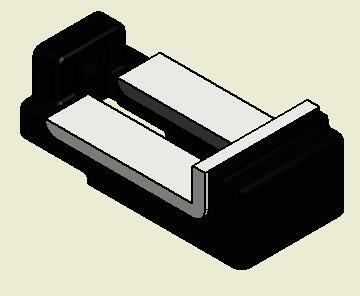 For example, if I take my model and override it’s “cast iron” look with the color of black, my isometric shaded view no longer appears correctly on my drawing. One solution that was offered in the past was to change the color of the layer “Visible” and “Visible Narrow” to white (or gray) within the drawing styles/standards definition. In doing so all of the drawing views are impacted and now you are faced with a whole different viewing/printing issue. To show the edges correctly under this condition, simply create a new layer in the drawing styles/standards and set its color to “white”. I named my layer “Reverse Edges” in my drawing. 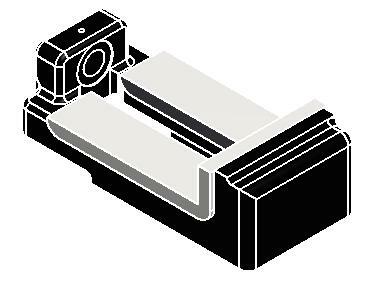 Next, without any command active in Inventor, create a selection window around the shaded view to select all the edges within that view. For multi-color shaded models, you will need to be careful in which edges end up getting selected. 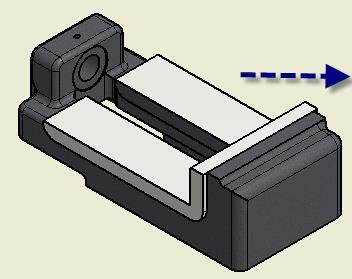 For my example, I am still going to window around the entire view and select the Annotate ribbon tab to continue. From there I will switch the layer of the selected edges to the new one I just created under the styles/standards definition. Once that occurs my shaded view now appears correctly, no matter if the drawing background is set to the default color or as white. 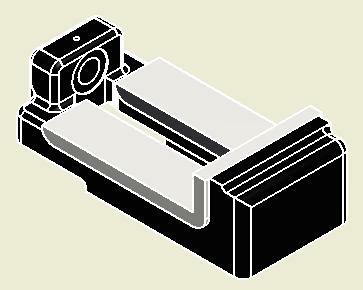 You may have to repeat this process if changes are made to the model and new edges appear in the shaded view. Hopefully this information has given you a better understanding of the color aspect when working with Inventor drawings. If you have any questions regarding this article please feel free to contact us.